Children's National's interventional electrophysiology team developed and perfected techniques for transvenous pacemaker and defibrillator implantation in children. The team has been on the cutting edge for extracting broken pacing leads using laser techniques. A permanent pacemaker is a small device that is implanted under the skin and sends electrical signals to start or regulate a slow heartbeat. A permanent pacemaker may be used to make the heart beat if the heart's natural pacemaker (the sinoatrial or SA node) is not functioning properly, and has developed an abnormal heart rate or rhythm, or if the electrical pathways are blocked. Pacemakers are typically used for slow arrhythmias such as sinus bradycardia, sick sinus syndrome, or heart block. In infants and young children pacemakers are usually placed in the abdomen. The wires that connect the pacemaker to the heart are placed on the outside surface of the heart. This position is beneficial because the fat in the abdomen protects the pacemaker and pacemaker wires from injury that might occur during everyday childhood activities such as climbing and falling. School-aged children and adolescents may have the pacemaker placed in the shoulder area, just under the collarbone. The pacemaker wires are often placed inside the subclavian vein, a large vein that connects to the superior vena cava and right atrium, and then guided inside the heart. An ICD is a small device, slightly larger than a pacemaker, that is implanted under the skin, often in the shoulder area, just under the collarbone. In infants and small children ICDs are placed in the abdomen and the wires are connected to the outside surface of the heart, as described above for pacemakers. An ICD senses the rate of the heartbeat. When the heart rate exceeds a rate programmed into the device the ICD delivers a small, electrical shock to the heart to slow the heart rate. ICDs can also function as a pacemaker by delivering an electrical signal to regulate a heart rate that is too slow. ICDs are typically used for fast arrhythmias such as ventricular tachycardia or ventricular fibrillation. When is a pacemaker or an ICD needed? When the heart's natural pacemaker has a dysfunction the signals it sends out may become erratic: too slow, too fast, or too irregular, to stimulate adequate contractions of the heart chambers. When the heartbeat becomes erratic it is referred to as an arrhythmia (an abnormal rhythm of the heart, which can cause the heart to pump less effectively). Not allowing the chambers to fill with an adequate amount of blood because the electrical signal is causing the heart to pump too fast. Not allowing a sufficient amount of blood to be pumped out to the body because the electrical signal is causing the heart to pump too slow or too irregularly. Advanced second- or third-degree heart block, AV Block, associated with symptomatic bradycardia, slow heart rate, congestive heart failure, or low cardiac output. Sinus node dysfunction with heart rates slower than expected for age with associated symptoms (i.e., fatigue). Postoperative advanced second- or third-degree AV block that is not expected to resolve or persists at least 7 days after cardiac surgery. Congenital third-degree AV block with a wide QRS escape rhythm or ventricular dysfunction. Congenital third-degree AV block in the infant with a ventricular rate <50 to 55 bpm or with congenital heart disease and a ventricular rate <70 bpm. Sustained pause-dependent ventricular tachycardia (VT), with or without prolonged QT, in which the efficacy of pacing is thoroughly documented. Bradycardia-tachycardia syndrome with the need for long-term antiarrhythmic treatment other than digitalis. Congenital third-degree AV block beyond the first year of life with an average heart rate <50 bpm or with long pauses between heart beats. Long QT syndrome with 2:1 AV or third-degree AV block. Asymptomatic sinus bradycardia in the child with complex congenital heart disease with resting heart rate <35 bpm or pauses in ventricular rate >3 seconds. Temporary postoperative third-degree AV block that reverts to sinus rhythm with residual bifascicular block. Congenital third-degree AV block in the asymptomatic neonate, child, or adolescent with an acceptable rate, narrow QRS complex, and normal ventricular function. Asymptomatic sinus bradycardia in the adolescent with congenital heart disease with resting heart rate <35 bpm or pauses in ventricular rate >3 seconds. 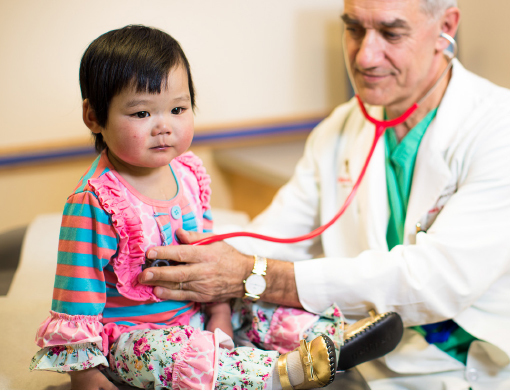 What are indications for ICDs in children? Cardiac arrest due to ventricular fibrillation (VF) or VT that is not temporary or reversible. Syncope of undetermined origin with clinically relevant, hemodynamically significant sustained VT or VF induced at electrophysiological study when drug therapy isineffective, not tolerated, or not preferred. Cardiac arrest presumed to be due to VF when electrophysiological testing is precluded by other medical conditions. Severe symptoms attributable to sustained ventricular tachyarrhythmias while awaiting cardiac transplantation. Familial or inherited conditions with a high risk for life-threatening ventricular tachyarrhythmias such as long QT syndrome or hypertrophic cardiomyopathy. Recurrent syncope of undetermined etiology in the presence of ventricular dysfunction and inducible ventricular arrhythmias at electrophysiological study when other causes of syncope have been excluded. A pulse generator which has a sealed lithium battery and an electronic circuitry package. The pulse generator produces the electrical signals that make the heart beat. The pulse generators also have the capability to receive and respond to signals that are sent by the heart itself. One or multiple wires (also called leads). Leads are insulated, flexible wires that conduct electrical signals to the heart from the pulse generator. The leads may also relay signals from the heart to the pulse generator. One end of the lead is attached to the pulse generator and the electrode end of the lead is positioned in the atrium (the upper chamber of the heart) or in the ventricle (the lower chamber of the heart). Pacemakers that pace either the right atrium or the right ventricle are called "single-chamber" pacemakers. Pacemakers that pace both the right atrium and right ventricle of the heart and require two pacing leads are called dual-chamber pacemakers. Pacemakers that pace both the right and left ventricle are called “bi-ventricular” pacemakers. Pacemaker/ICD insertion is done in the hospital, either in the operating room or the cardiac catheterization laboratory. The child is under general anesthesia during the procedure. In older children and teenagers who receive a transvenous pacemaker, a small incision is made just under the collarbone. The pacemaker/ICD lead(s) is inserted into the heart through a blood vessel which runs under the collarbone. This procedure is usually performed in the catheterization laboratory. Once the procedure has been completed, the child goes through a recovery period of several hours and usually stays in the hospital for 48 hours. In younger children, the pacemaker may be placed into the abdomen through a small incision. A second incision is made in the chest to visualize the heart. The lead(s) are guided to the heart and then placed on the heart's surface. This procedure is performed in the operating room. Once the procedure has been completed, the child goes through a recovery period of several hours and often is ready to go home 1-2 days after the procedure. Patients who have a pacemaker or ICD placed will be seen for a follow-up visit and wound check 1-2 weeks after discharge from the hospital. Another visit is usually scheduled for 1 month after the procedure and the pacemaker/ICD will be checked again. After the post-operative period, patients are routinely seen by an Electrophysiologist and Pacemaker Nurse every 6 months if they have a pacemaker and every 4 months if they an ICD. You will not be allowed to have the wound soak in water (i.e., go swimming or take a tub bath) for 1 month or until the wound completely heals. For patients that have a transvenous pacemaker or ICD implanted in the upper chest, we recommend not raising the arm above the shoulder level also for 1 month after the surgery.